At Pumping Solutions, we provide the highest quality service when it comes to pump solutions and features for your business or home. We are one of the leading suppliers in domestic water pumps and industrial pumps. Our products are suitable for all applications and vary from large industrial water pumps to your typical small garden pump. We know everything there is to know about the positive impact different type of industrial water pumps can have on homes and businesses, including improving fluid flow efficiency to high floors of buildings. 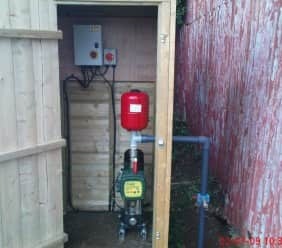 A pressure pump system for example is needed for supplies from wells, and for garden features. Commercially, applications for pumps include sewage treatment systems, fountains, boreholes, tanks and industrial washing. 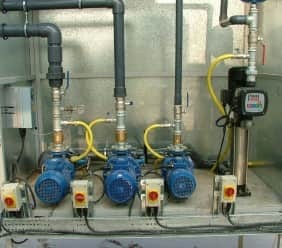 A fluid industrial water pump needs to be able to provide a direct, reliable and consistent flow, so it’s important that the pump installed is the right one for the liquid involved, and that the installation is carried out by experts. From our base in Spalding we provide answers to every kind of issue in domestic and commercial locations all over the United Kingdom, and all of our services are available at a price that you can afford. Our highly skilled engineering team are able to successfully complete all kinds of commercial projects, no matter how big or small. If wish to use our services or if you have any questions and would like to speak to one of our very helpful and friendly team members, please call us on 01775 711 960.